The wearables market has remained fairly steady in its growth over the past few years. However, there are hints of a plateauing of consumer interest in the sector. Market leader Fitbit revealed on Monday that it will axe 110 employees as part of a company-wide cost-saving effort in response to a disappointing Q4 2016. The quarter saw only 6.5 million devices sold and revenue figures expected in the $572-$580 million range. 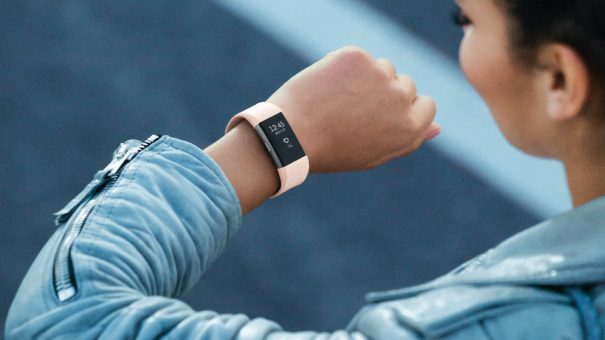 To put the numbers in content, Fitbit had previously announced guidance figures of $725-$750 million. In response, speculation has started again about the longevity of the wearables market overall. After all, if the market leader is beginning to struggle, then surely that’s a sign of the state of affairs for its competitors too? Well, not really. 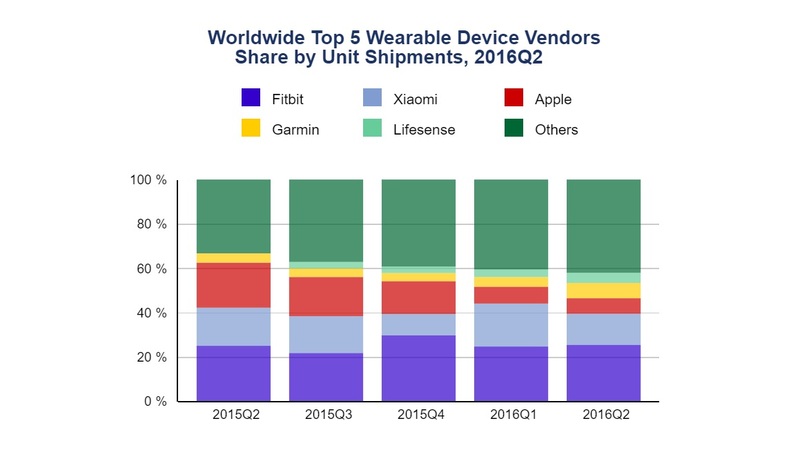 In September last year, a report from the International Data Corporation indicated a fairly diverse field of competitors, with companies other than Fitbit – Apple, Garmin, Xiaomi and Lifesense – taking up a healthy 40% or so share of the market in Q2 of 2016. Since Q2 of 2015, the sector had shipped a record 22.5 million wearable devices. Despite fluctuating market shares for wearables leaders between 2015 and 2016, the sector achieved its highest shipping total for devices ever. In the same report, Fitbit’s market share was shown to have fluctuated since Q2 of 2015, ending slightly higher by the same point in 2016. So its recent struggle may have been on the cards for some time. So what could be the cause of these issues? One reason could be that the technology behind the wearables boom – activity tracking and step counting – is now available through other forms, namely smartphones. Given the exponential growth of smartphone use worldwide, it is the need for activity trackers and step counters – and not wearables technology as a whole – that has stalled. Therefore, the unveiling of Fitbit’s acquisition of smartwatch developer Pebble, and its subsequent entrance into the smartwatch market, isn’t quite as left-field as first thought. Although competitors like Apple continue to struggle to popularise the smartwatch, creating a more practical platform for health tracking by integrating it into a well-used gadget is logical. Alongside its preliminary fourth quarter results, Fitbit also confirmed its interest in the healthcare market – a move that could make up for slowing consumer interest in its core products. Other companies are taking the same route with rumblings of Apple releasing its own healthcare wearables range in the near future (a suspicion compounded by recent patent filings for wear-dependent arm and wristbands). 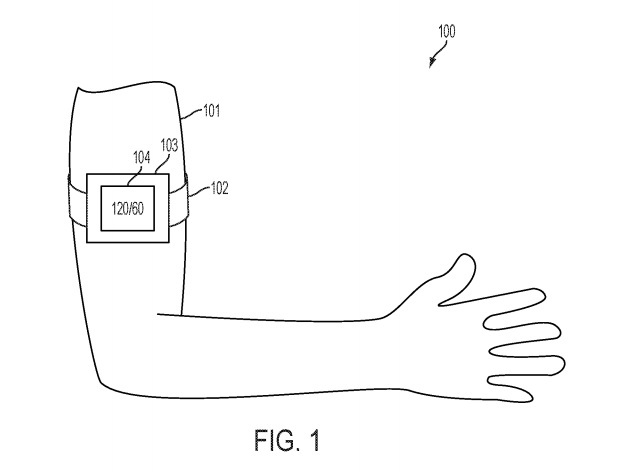 A patent filing including an image of a heart monitor armband (pictured), which performs differently when worn, has many wondering whether Apple is gearing up for the release of a new wearables range. Seeing such a shift in mindset for top consumer-focused companies in the application of their own wearables, coupled with a growing adoption of fitness and activity trackers by healthcare providers, may suggest that the humble wristband tracker is simply being replaced by a more complete health-tracking alternative. So perhaps the boom isn’t dying out, but evolving from simple tracking gadgets for athletes and fitness fanatics, to a complete healthcare tool for the layperson. A test that searches for, and identifies, five specific molecules in breath samples has shown promise as a potential diagnostic method in both oesophageal and stomach cancer. Results from a trial investigating the test were presented at the recent European Cancer Congress (ECCO) 2017, where the test was trialled in 335 people at St Mary’s Hospital, Imperial College Healthcare NHS Trust, University College London Hospital, and the Royal Marsden Hospital in London. Of those 335, 163 had been diagnosed with either oesophageal or stomach cancer, while 172 showed no sign of cancer as determined by endoscopy. 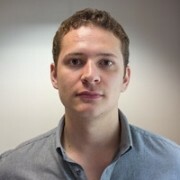 The test’s underlying technology is similar to that seen in Owlstone Medical’s ReCIVA breath test, which uses a technique called field asymmetric ion mobility spectrometry (FAIMS) to search for specific compounds in breath samples. In this test, a technique called ion flow-tube mass spectrometry searched for five compounds in the breath samples of each participant: butyric, pentanoic and hexanoic acids, butanal, and decanal – all of which are known to fluctuate in the presence of cancer. Researchers found the test was 85% accurate at correctly identifying those with cancer as well as having a high specificity (ability to distinguish between cancer patients and healthy patients) of 81%. Considering the ambiguous nature of both oesophageal and stomach cancers – an attribute that is responsible for five-year survival rates for each cancer of around 15% – the test could represent a particularly powerful new diagnostic tool. The research team is now looking to test the technology in a larger human trial, investigating its use alongside endoscopy for gastrointestinal symptoms experienced in people not yet diagnosed with cancer. This will clarify the test’s ability to identify a small percentage of cancer cases from a large population. California-based developer of an artificial pancreas, Bigfoot Biomedical, has received more funding to further develop its automated insulin delivery platform. The money comes from a newly-launched, $42 million venture fund from UK charity the Juvenile Diabetes Research Foundation (JDRF), established to accelerate the development of promising type 1 diabetes management solutions. The total has not been disclosed but it will add to Bigfoot’s previously-raised $35.5. million. The money will go towards Bigfoot’s smartloop technology – a cloud-connected diabetes management platform that incorporates a continuous glucose monitoring device, an insulin delivery patch and a companion app. The patch automatically delivers insulin in response to low levels of the hormone. Unlike those of its competitors, Bigfoot’s smartloop is a fully closed-loop delivery system, which administers extra insulin at meal times (known as bolus insulin). Other ‘artificial pancreases’, such as Medtronic’s MiniMed 670G, are termed ‘hybrid closed-loop’ systems, as they lack this feature. Bigfoot completed its first smartloop clinical trial last year and is planning to begin another this year.